Crochet Amigurami are soo cute! So why not add this Crochet Easter Bunny Amigurami to your collection? It’s soon going to be Easter, so you’ll need to prepare for the holiday. There are many things to be done, cake, decorations, food… This Easter Bunny Amigurami will be great for decoration! 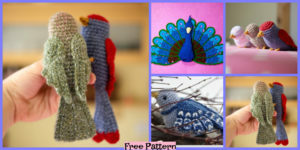 It is a really easy crochet project, and great if you are a beginner! 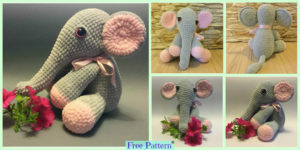 You will find the free pattern by clicking on the link, and the final result is super cute and adorable. Every little child will love it. So go on and start crocheting this awesome Easter Bunny Amigurami. 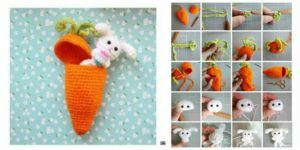 You might also like: Carrot Surprise Easter Bunny Crochet Free Pattern.